Free animals game: Animals matching memorygame, develop memory, funny animals, wild animals, cute animals,farm animals, Matching animal card with it's same, it's fun. - Playing this game to improve the recognition while havingfun. - Animals matching memory game contains many nice images of animalsas Zoo animals , farm animals, wild animals, cute animals, whichare on Matching memory cards. - Simple and intuitive interface which is easy to use and easyto play. -This free Animals matching memory game will keep your kids quietand entertained in home, car, in a restaurant or everywhere. Animais correspondentes jogo de memória, desenvolver a memória,animais engraçados, animais selvagens, animais bonitos, animais defazenda, Cartão de harmonização de animais com ele é mesmo, édivertido. الحيوانات المطابقة لعبة الذاكرة، وتطوير الذاكرة، حيوانات مضحكة،حيوانات برية، حيوانات مضحكة ، حيوانات المزرعة، انها متعة. Hewan pencocokan permainan memori, mengembangkan memori, hewanlucu, hewan liar, hewan lucu, hewan ternak, Matching kartu hewandengan itu sama, itu menyenangkan. hafıza oyunu eşleşen Hayvanlar, geliştirmek bellek, komikhayvanlar, vahşi hayvanlar, sevimli hayvanlar, çiftlik hayvanları,onunla hayvan kartı Eşleştirme aynıdır, bu eğlenceli. Animales a juego juego de memoria, desarrollar la memoria,animales divertidos, animales salvajes, animales lindos, animalesde granja, Tarjeta a juego de los animales con su mismo, esdivertido. Free animals game: Animals matching memorygame, develop memory, funny animals, wild animals, cute animals,farm animals, Matching animal card with it's same, it's fun.- Playing this game to improve the recognition while havingfun.- Animals matching memory game contains many nice images of animalsas Zoo animals , farm animals, wild animals, cute animals, whichare on Matching memory cards.- Matching memory Games are games for all ages, babies,preschoolers, school children and teens. Both, boys and girls willlove this game. 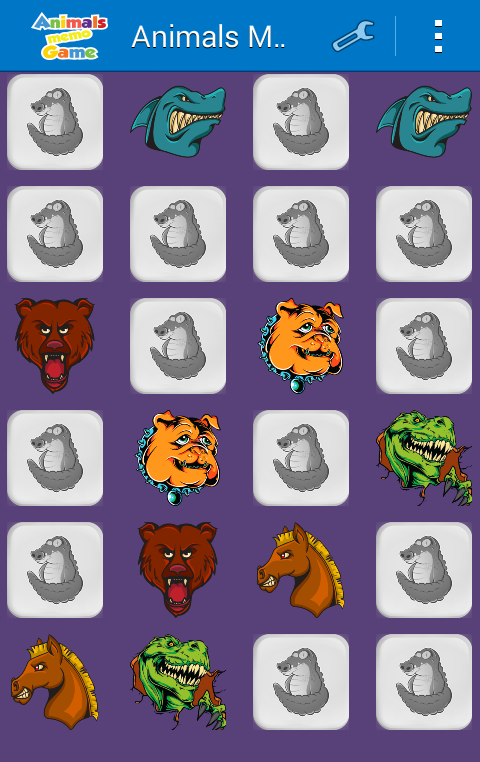 it is a animal matching games for kids and improvesmemory games for kids freeHOW TO PLAY ANIMALS MATCHING MEMORY GAME :-Initially you will see all animals cards turned face down. Tap onone of the card and remember the picture on it. With the next taptry to find and flip the card with the same animal picture asprevious one. 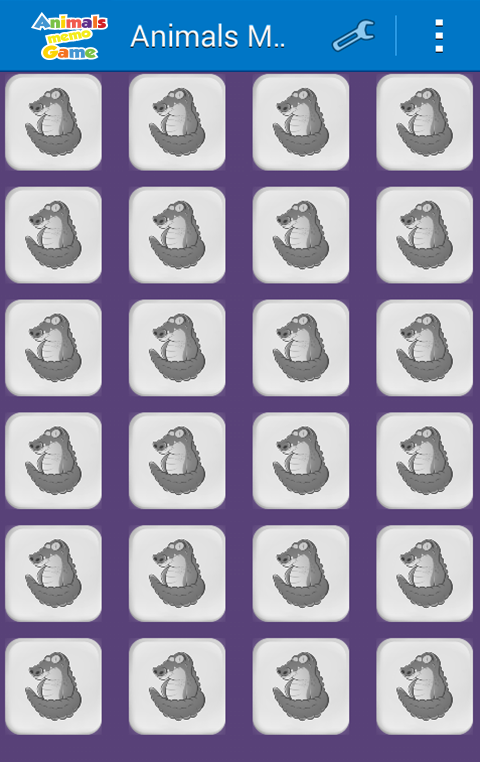 If the animals pictures on the both matching cardswill be the same, they will stay opened and you can continue withthe next pair. Otherwise both cards will flip back over and youwill get another try. Try to find all matched cards as fast aspossible with less movesFEATURES ( Animals matching memory game):- 4 different themes for the animals ( cute animals , Zoo animals ,Farm animals , Wild animals )- develops recognition, concentration and motor skills- nice sounds for kids- colorful HD graphic designs- contains beautiful images of animals- visual memory training- high score saving- Simple and intuitive interface which is easy to use and easyto play.-This free Animals matching memory game will keep your kids quietand entertained in home, car, in a restaurant or everywhere.Animais correspondentes jogo de memória, desenvolver a memória,animais engraçados, animais selvagens, animais bonitos, animais defazenda, Cartão de harmonização de animais com ele é mesmo, édivertido.الحيوانات المطابقة لعبة الذاكرة، وتطوير الذاكرة، حيوانات مضحكة،حيوانات برية، حيوانات مضحكة ، حيوانات المزرعة، انها متعة.Hewan pencocokan permainan memori, mengembangkan memori, hewanlucu, hewan liar, hewan lucu, hewan ternak, Matching kartu hewandengan itu sama, itu menyenangkan.नि: शुल्क जानवरों खेल: स्मृति खेल मिलान पशु, विकसित स्मृति, अजीबजानवर, जंगली जानवर, प्यारा जानवर, खेत जानवरों, इसके साथ पशु कार्डमिलान में ही है, यह मजेदार है।hafıza oyunu eşleşen Hayvanlar, geliştirmek bellek, komikhayvanlar, vahşi hayvanlar, sevimli hayvanlar, çiftlik hayvanları,onunla hayvan kartı Eşleştirme aynıdır, bu eğlenceli.Animales a juego juego de memoria, desarrollar la memoria,animales divertidos, animales salvajes, animales lindos, animalesde granja, Tarjeta a juego de los animales con su mismo, esdivertido. Are you ready..?? Bird Run & Fly tocollectcookies , it is A bird games for kids, funny running birdgame,jumping around to collect all cookies and dont touch thespikes andthe obstacles ..wish you a great play. it is one of the Best bird games freeYOUR TARGET is moving across various levels, collect allcookiesas much as you can & avoid obstacles to completethelevels.Jumping Cookies bird Game Features :-- 100+Levels- 3 Different Game Modes- Clean and colorful graphics- Phone and Tablet support- Music and sound effects- Play for all ages Kids and adults- Game is free, no purchase required.Enjoy Jumping cookies game & do leave a feedback thatwillhelp us improve...! introduction: cartoon puzzle is a logical mind challenging game forall family members. 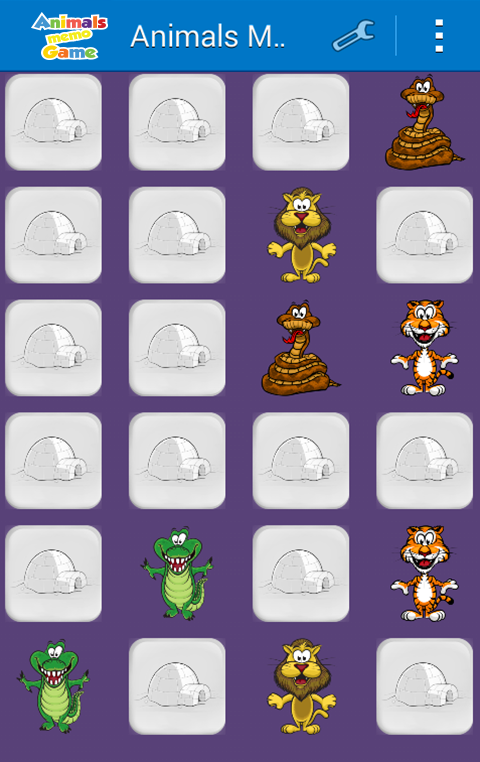 cartoon sliding puzzle is a perfect logic gamewith wonderful content for all fans of cartoons. it is a cute andfunny game for all ages. how is the game played? * choose cartoonimage. * move and slide the puzzle pieces to the correct place. *try installing the parts with The fewest number of movements andless time. 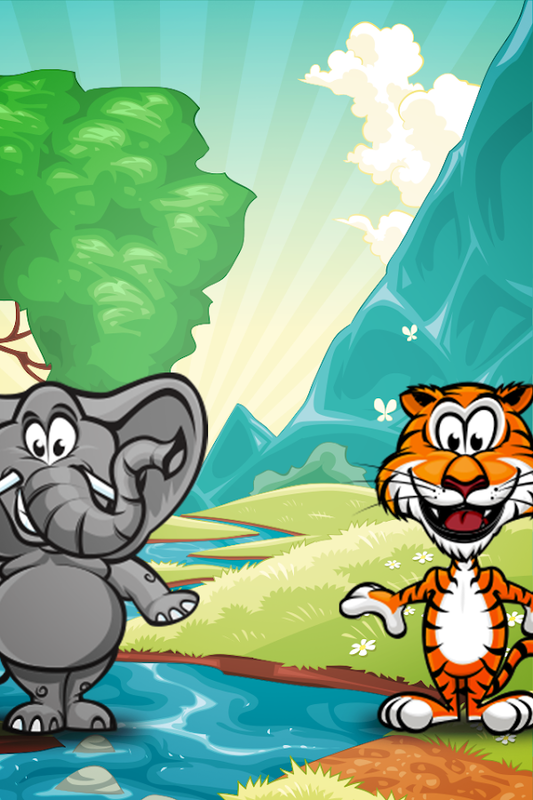 game features: * improve memory and mental skills forkids. * there are three levels of difficalty(easy - medium - hard). * you can share the game with your friends on social networks. *designed for phones and tablets. * amazing user interfaces. * highdefinition cartoon images. note:this application does not violatethe copyright and does not claim to it. most of the images arecollected under license of shutterstock.com. if you feel that weviolate your copyright please contact us directly. download cartoonpuzzle free and be sure your children will enjoy playing them,andyou can take a rest. Please, if you like the game, try our otherWonderful games. rate us please with 5 star. thanks.